We had such an amazing time at Vivian and Albert’s wedding! The guests were so much fun and definitely enjoyed the photo booth experience. For the backdrop we used a gold sequin to match the wedding color scheme. For the template we kept it simple with a white background for the photo strip and lavender and gold accents. Guests took three photos and received traditional strips with an option to text their photos (which they LOVED). 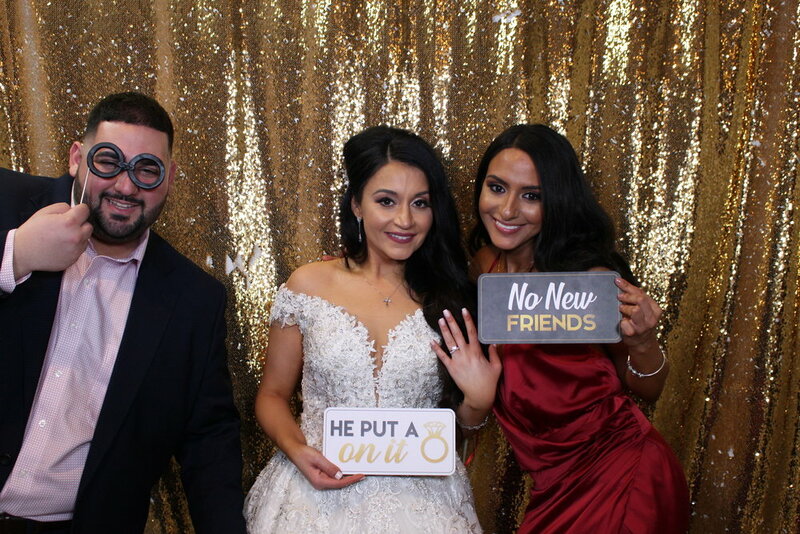 We had our NEW prop signs for this wedding and guests had so much fun with them. Some of the sayings here: “Kiki, do you love me?”, “Catch flights not feelings”, “I’m Gucci”. We definitely try to provide an experience at The Posh Booth that is unique and modern and will continue to strive to deliver on that promise.